The last post counted down the top ten pieces of beginner piano sheet music. As students advance, however, staples of the beginner top ten list like “Twinkle Twinkle Little Star” and “Frère Jacques” no longer provide the challenge students need. Their increasing skill level opens up a whole new world of easy and intermediate piano music options. With so many music options available, it can be hard to know where to start when selecting music for an advanced beginner or intermediate piano student. Consider the following list of the most popular easy and intermediate piano sheet music downloads. Find out which pieces have proven to be all-time favorites, and you’re bound to find at least one piece to add to your sheet music library. 10. 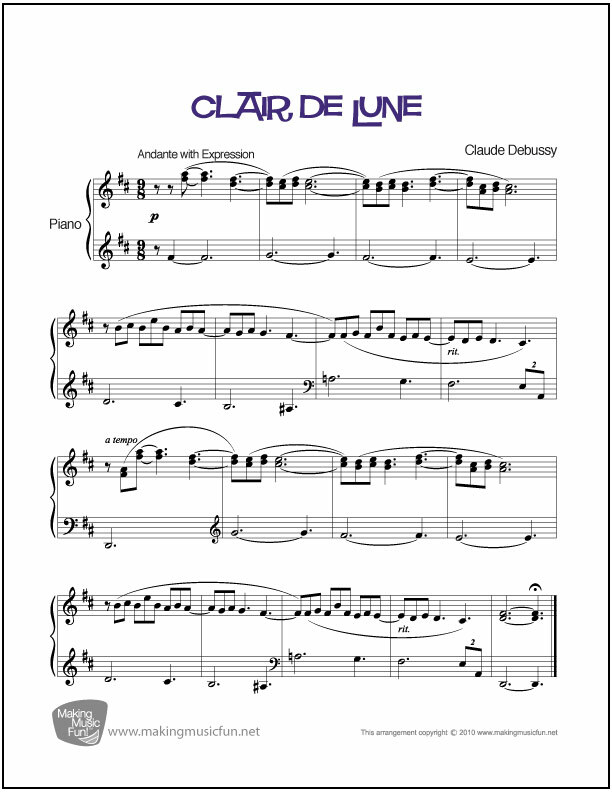 Clair de Lune (Debussy) | Sheet Music for Piano Solo (Intermediate/ Level 5 Piano Solo) We start on the more advanced end with Debussy’s ethereal Impressionist piece. Whether they recognize the song from the finale of Ocean’s Eleven or elsewhere, many students find the challenge of this piece well worthwhile. 9. 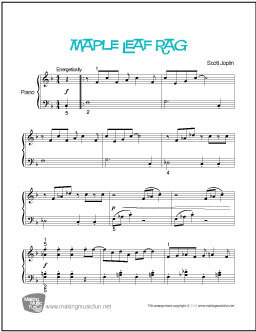 Maple Leaf Rag by Scott Joplin|Sheet Music for Piano (Intermediate/ Level 3 Piano Solo) This ragtime classic contrasts sharply with the last piece on the list. Joplin’s ragtime classic is known for its syncopated, upbeat style that evokes an instant sense of time and place. 8. 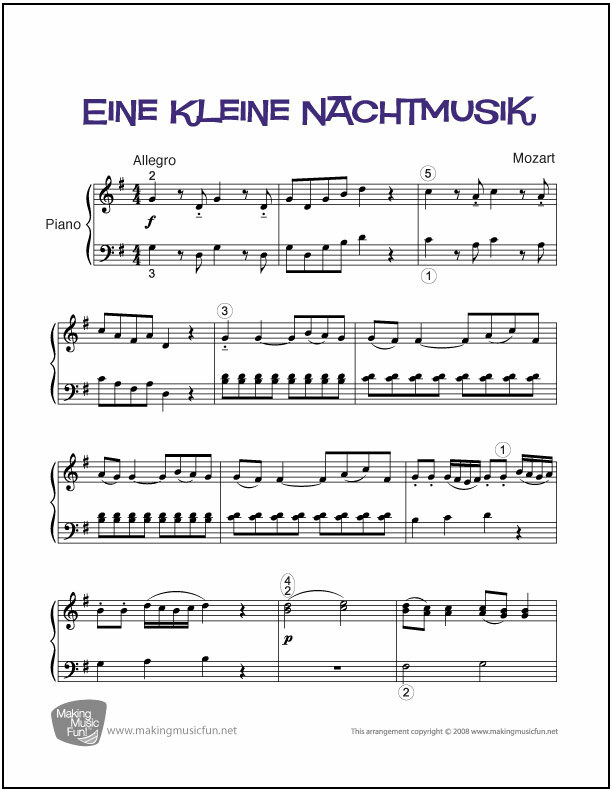 Eine Kleine Nachtmusik | Piano Sheet Music (Intermediate/ Level 3 Piano Solo) This list takes a classical turn with this Mozart number. With its driving rhythm and fast-moving melody, mastering this piece makes the intermediate student feel like a concert pianist. 7. 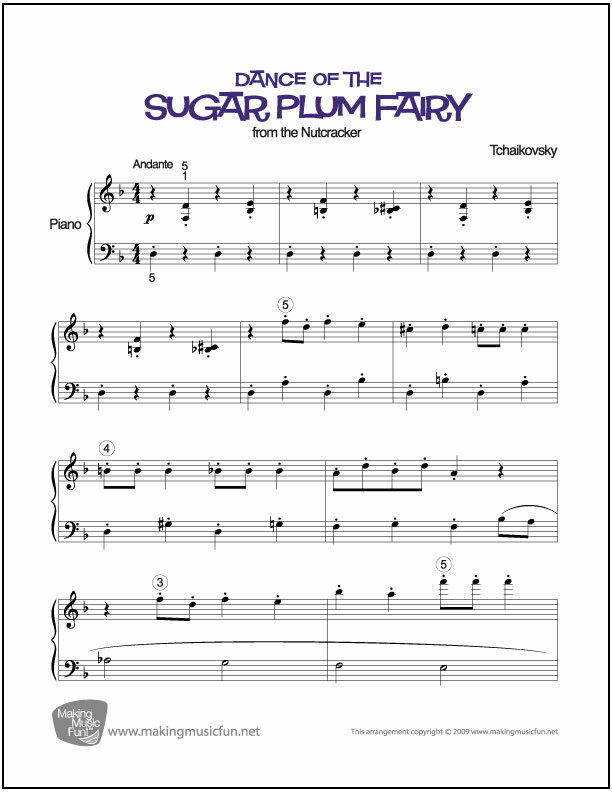 Dance of the Sugar Plum Fairy | Sheet Music for Piano (Digital Print) (Intermediate/ Level 3 Piano Solo) Especial popular at Christmas time, this delicate and mysterious theme delights at holiday concerts and recitals. 6. 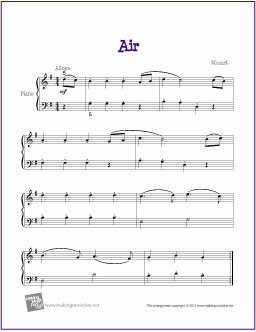 Air (Mozart) by Wolfgang Amadeus Mozart| Piano Sheet Music (Easy/ Level 2 Piano Solo) Mozart makes another appearance, this time with one of the easiest selections on the list. Short, simple, and satisfying, this piece is a great way to introduce Mozart. 5. 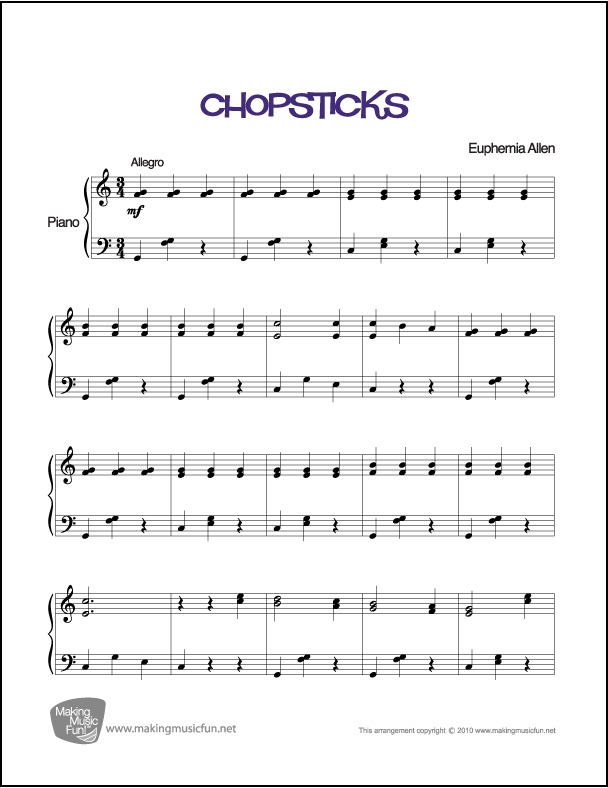 Chopsticks | Sheet Music for Piano (Intermediate/ Level 4 Piano Solo) Though you may not think of it as a waltz, that’s exactly what Chopsticks is, and this popular intermediate arrangement brings the tune back to its waltz roots. 4. 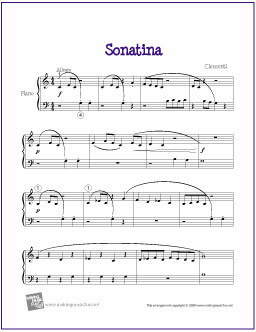 Sonatina by Muzio Clementi | Piano Sheet Music (Easy/ Level 1 Piano Solo) This easy piece is great practice for dynamic contrast, phrasing, and passing a melody between the right and left hand. It’s also enjoyable to play. 3. 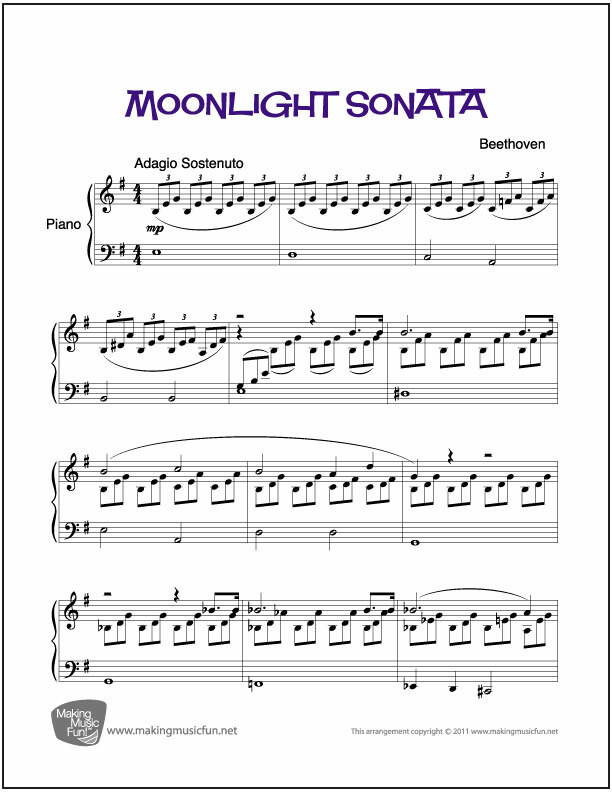 Moonlight Sonata | Sheet Music for Piano (Intermediate/ Level 5 Piano Solo) This immortal Beethoven sonata really needs no introduction. Though the artistic challenge of bringing out the melody from the running triplets is notable, the piece’s distinctive beauty and mood make it unforgettable. 2. 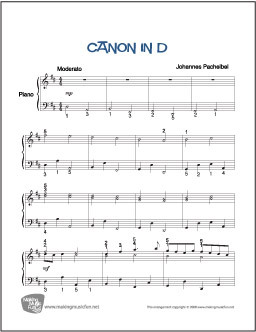 Canon in D | Sheet Music for Piano (Intermediate/ Level 5 Piano Solo) Like the previous piece, this canon’s place on the list is no surprise. Now an almost ubiquitous wedding march, this piece still delights piano students as the theme builds, unfolds, and extends further and further with every repetition. 1. 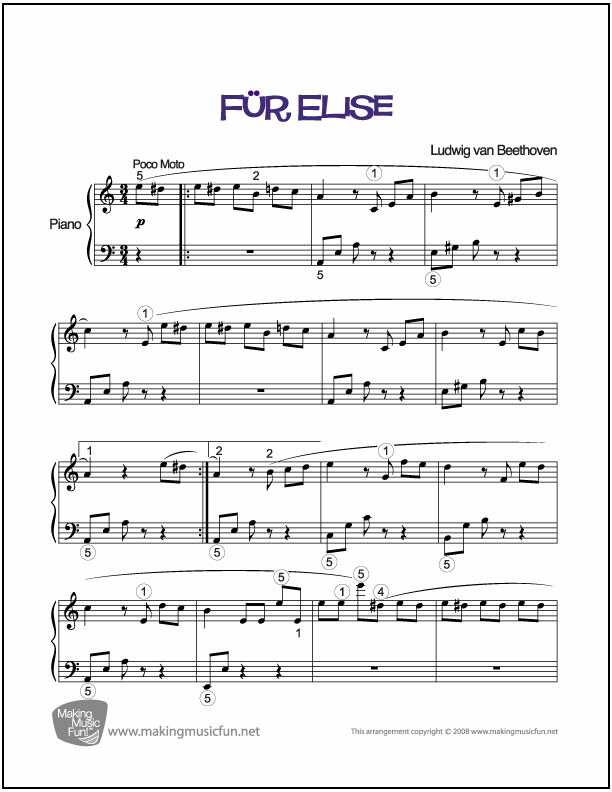 Für Elise by Ludwig van Beethoven| Piano Sheet Music (Intermediate/ Level 3 Sheet Music) Topping the list as the most popular piece of intermediate piano music is Beethoven’s haunting minor key masterpiece. There’s something magical about this piece that makes students feel like they have passed to a new level of musical expression. As you looked through this list, chances are good that at least one of these pieces brought a smile to your face. Maybe one reminded you of a specific student who especially loved (or hated) it. Maybe you even remembered one of them as a formative piece in your own musical development. In any case, these are ten special pieces that have been and continue to be integral to the growth of intermediate piano students.